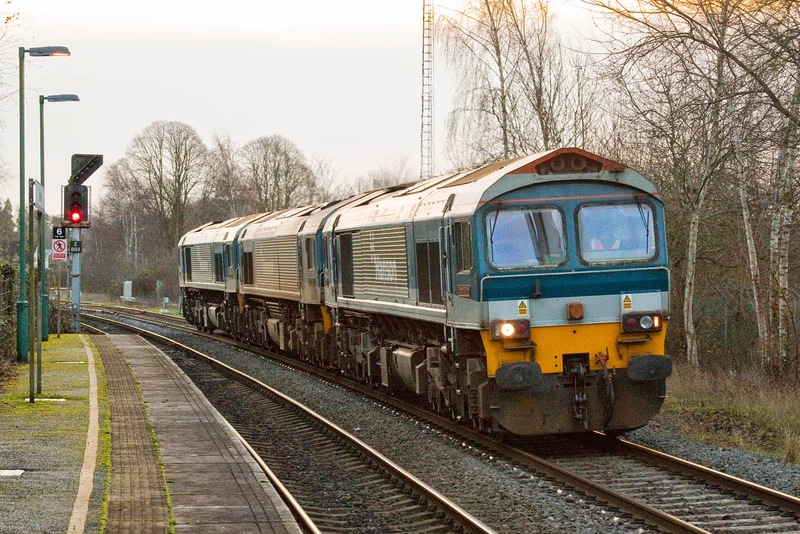 59101 Village of Whatley + 59102 Village of Chantry + 59103 Village of Mells pass Romsey on morning of 2nd January. 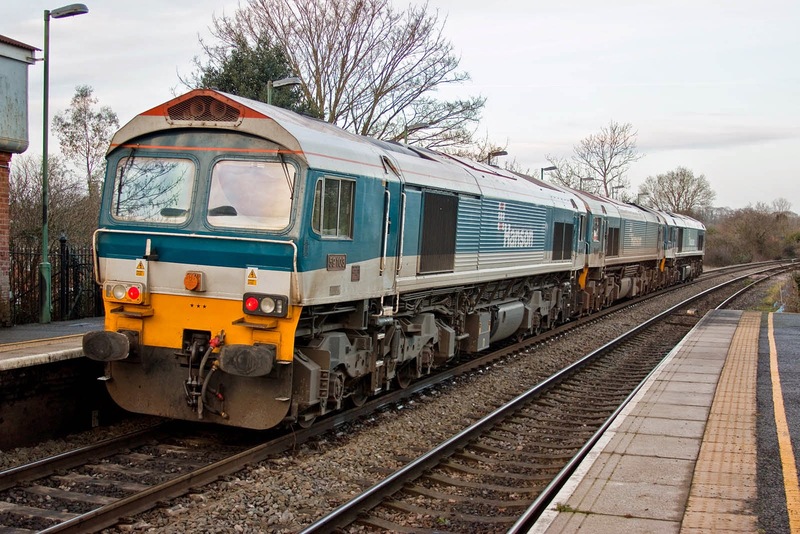 The locomotives returned to Merehead following attentions at Eastleigh through the "festive period". 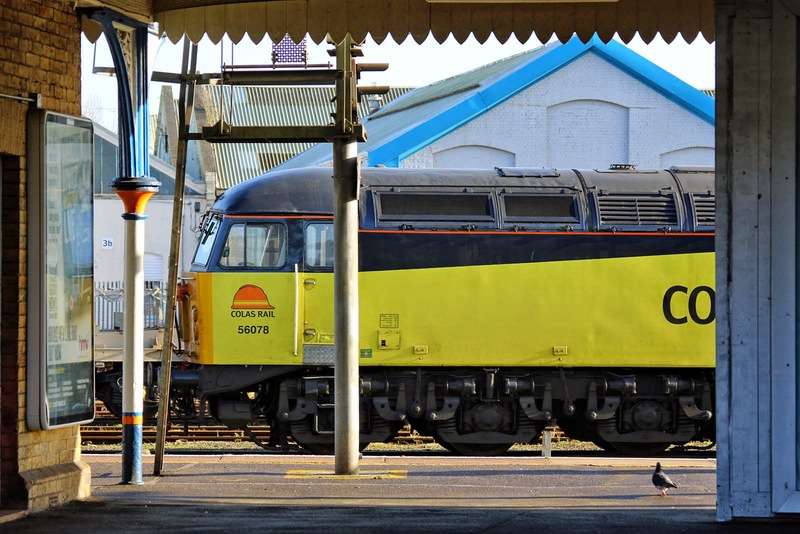 56078 across the platform at Eastleigh, 2nd January. 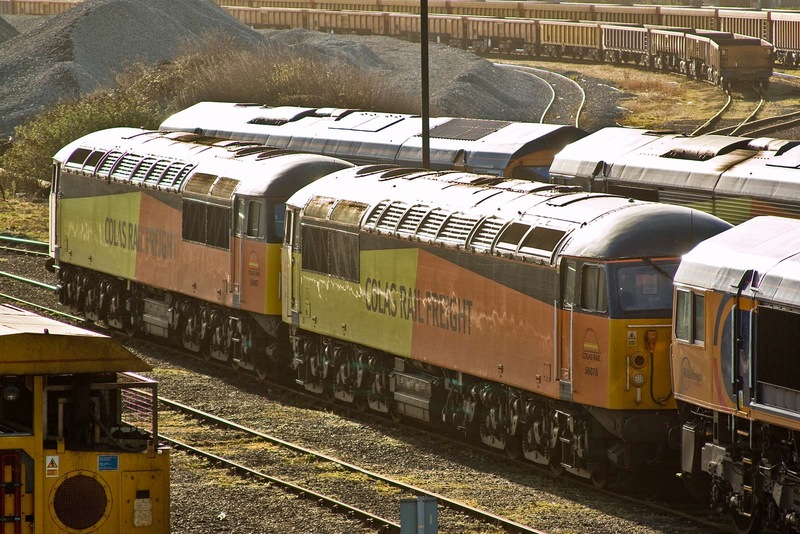 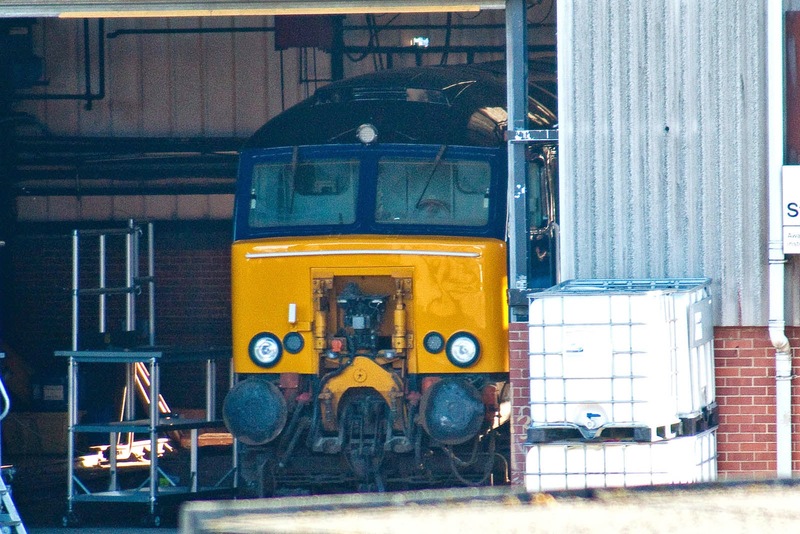 57306 proceeds through its repaint to DRS colours at Eastleigh Works, 2nd January. 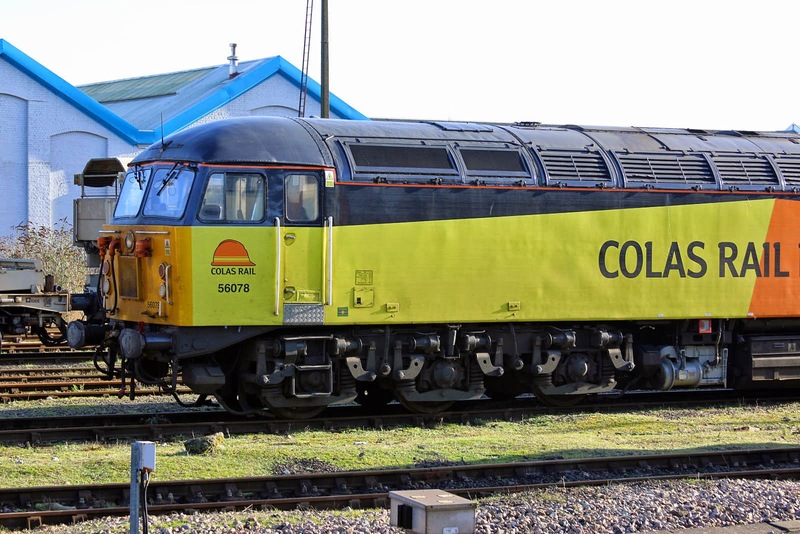 Railvac remains parked at Eastleigh.